Marine turtles are to the Coral Triangle what jewels are to a crown: both indispensable and marvelous. In the case of turtles, they are also highly vulnerable. 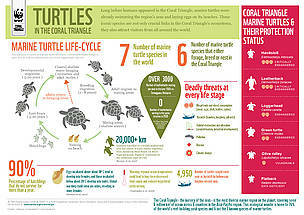 Check out this infographic to discover the simple aspects of turtles' life cycle, and the threats they face in the ocean. Marine turtles are to the Coral Triangle what jewels are to a crown: both indispensable and marvelous. In the case of turtles, they are also highly vulnerable. 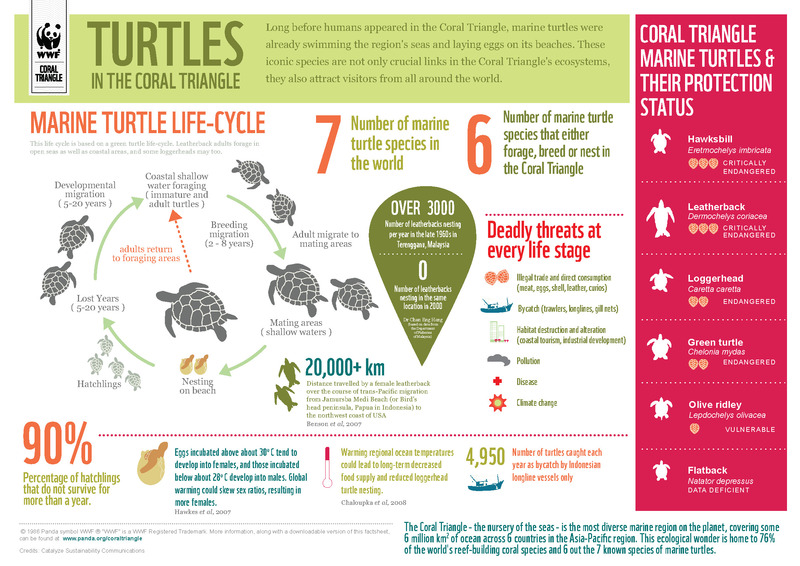 Check out this infographic to discover the simple aspects of turtles' life cycle, and the threats they face in the ocean. What is WWF doing in the Coral Triangle? What on Earth is the Coral Triangle?